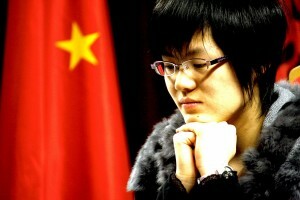 Ladies World Champion Grandmaster Hou Yifan has confirmed her participation in the 12th BCC Open tournament. There is no doubt that Hou is getting stronger, and she must surely be the favourite for the 12th BCC Open despite the participation of GM Nigel Short who defeated her in the playoff. It is excellent news for the BCC Open that GM Nigel Short and GM Hou Yifan, joint winners of the strongest open tournament in history (Gibraltar), are confirmed for the tournament!